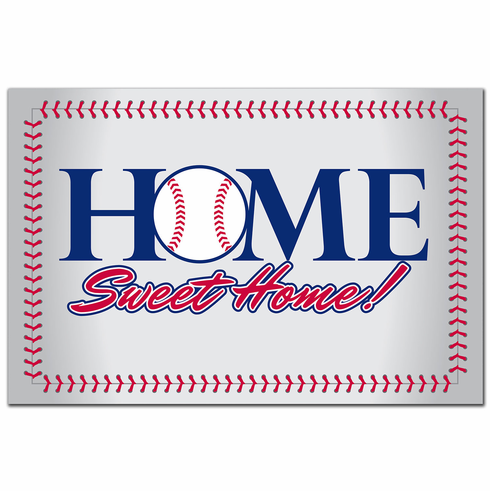 Home Sweet Home Baseball Stitch Door Mat. Rectangular mat measures appx. 17 3/4" x 26 3/4". These mats are durable 100% polyester fiber with an embossed non-skid rubber backing. They are printed with colorfast permanent ink. They can be used indoors or out...image will last much longer with indoor use. Only 1/8" thick making these mats perfect for use by almost any doorway! Everything Baseball Exclusive Design! Made in the USA.